This is the third entry from Serbia in the Eurovision Song Contest, since Serbia has become an individual country. 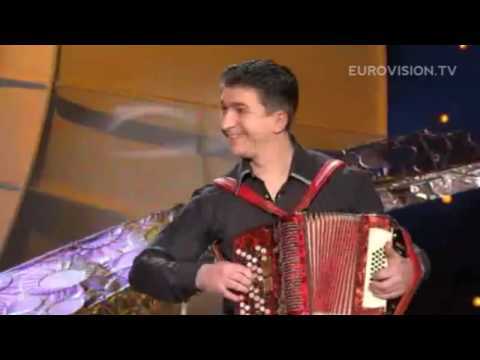 Before named as Serbia & Montenegro Zeljko Joskimovic was very close to victory (rank #2) with the goose bumps song “Lane Moje” in 2004. Marija Serifovic could bring the crown of Eurovision to Belgrade with the anthem “Molitva”. Serbia and the rest of Europe was impressed by Marija’s performance and unique song. Last year Jelena Tomasevic also sang a song composed by Zeljko Joksimovic “Oro” and came 6th in the final. The tradition of unique and splendid songs seems to be over for Serbia. For all people who expect something similar from the last years might be very disappointed. “Cipela” is quite a dreary song, which might sounds well with lots of Slibotiz’ in a Serbian pub. The singer appears like a big fraggle with a caftan like suit. This is probably the fewest, people like to watch at Eurovision. Disappointing.